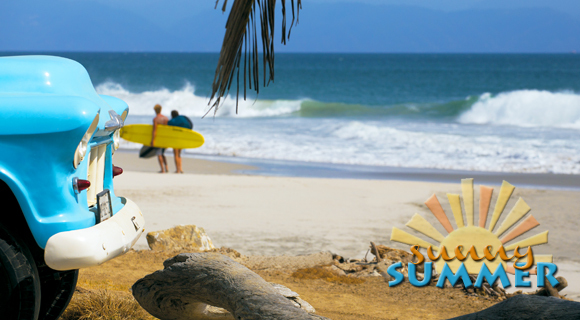 Riviera Nayarit Mexico Blog: Soak Up The Summer Sun With The Riviera Nayarit’s Promotions! Soak Up The Summer Sun With The Riviera Nayarit’s Promotions! Enjoy discounts from 20 to 57% off, tons of amenities and free services from 29 hotels in the Destination including the new W Punta de Mita, which opens its reservations with promotions starting on June 7, 2016. The Riviera Nayarit Convention and Visitors Bureau (CVB) has teamed up with the Destination’s hotels to launch their new Summer Sun Promos aimed at pampering the tourists who visit during their vacations. Promotions range from discounts of 20 to 57% off to resort credits, free WiFi, one free tour of the guest’s choice, unlimited rounds of golf, free babysitting services and kids stay free. Participating hotels include the Belair, Decameron Los Cocos, Dreams Villamagna, Four Seasons, Grand Palladium Grand Velas, Hard Rock Hotel, Las Palomas, Iberostar, Imanta, La Tranquila Marival Residences, Marival Resort, Occidental Grand, Ocean Breeze, Paradise Village, Rancho Banderas, Riu Jalisco, Riu Palace, Riu Vallarta, Royal Decameron, Samba, St Regis The Royal Suites, Villa del Palmar, Villa La Estancia, Villa Varadero, Vista Vallarta and the W Punta de Mita. The new W Punta de Mita will open up its room inventory for online reservations on June 7 and will include the Summer Sun Promos.